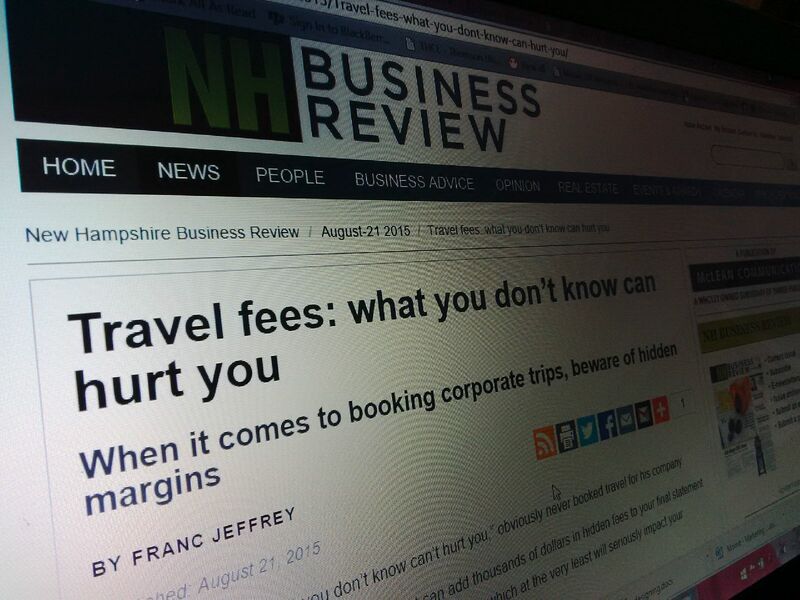 Whoever said, “What you don’t know can’t hurt you,” obviously never booked travel for his company. It’s precisely what you don’t know that can add thousands of dollars in hidden fees to your final statement the next time you send your employees on a trip, which at the very least will seriously impact your business’s bottom line. It’s a number that can rise expeditiously should you partner with the wrong travel management company, which is a safe bet when you consider that virtually all corporate travel programs use one. For years, travel management companies, or TMCs, have effectively buried hidden margins in the corporate travel triumvirate: flights, hotels and ground transportation. It’s an art perfected over decades of travel management. And for the most, part you would have to be Indiana Jones to unearth them. We aren’t talking about straightforward transactions fees. After all, everyone should be paid for the services they provide, which in the case of a reputable travel management company is the ability to smoothly orchestrate the movement of sometimes hundreds of employees halfway across the world. But the fee, albeit warranted, should always be spelled out clearly. Unfortunately, many of those in our industry have continued the art of levying hidden charges/margins on their corporate clients, typically laying the blame on the airlines, which constantly adjust their rates, alter travel itineraries and so forth. A half-dozen executives flying round trip from Boston to London can easily cost a company hundreds, even thousands, of dollars in hidden mark-ups. A travel company that relies on hidden commissions/margins is always likely to be drawn to higher-value tickets, as they provide the best returns for them. It means the customer does not know that the transatlantic business class ticket costing $4,000 would really have cost $3,500 with $500 going to the travel agent. This leaves the client in the unenviable position of not only losing money but being inconvenienced. This is when customer service becomes customer disservice. So now that we know there’s a problem, what are the suggestions to combat it? • Know your costs upfront. When working with a TMC on an itinerary, make sure you are just working on cost plus transaction fee, not cost plus commission and hidden markups and charges plus fees. For meetings and incentive travel, set a number ahead of time and try to stick by it. Of course, it’s the nature of the business that travel plans change. But when it does, be cognizant of why each change has happened. Ask to see all the information from the airlines to confirm the changes and what their ramifications will be. Otherwise, they could easily be bumping up the cost. • Lumps on your plastic. If your TMC asks for a company credit card and lumps charges together “to make things easier for the billing,” your radar should go up. You don’t want to see one big charge at the end on your credit card. You need to see each line item spelled out so you know you are getting what you paid for. • Ask for an audit. Don’t be afraid to ask for an audit breakdown of all costs. In fact, insist on it. If your TMC refuses, question what they have to hide. The overall hidden fee problem leaves corporate travel departments with incomplete data to prove they have met airline contractual obligations and to effectively negotiate new agreements; this can lead to higher fares being paid by the company. • They work for you. Do you feel like you are being forced to alter your company travel policy to work with your new TMC? Remember, you are in the driver’s seat – make them adapt to your plans. Your company has established its own company travel culture. Stick to your guns. • Personal service. Ask for – no, demand – a high level of personal service. Will your concerns be routed to a call center in India or to someone at the main office? Will your hold times be measured in minutes, hours, or by a calendar? Will you wear your finger down to the nub hitting annoying prompts (“Press 1 if you are traveling somewhere on Earth. Press 2 if you would like to hear this message in Eskimo. Press 3 if you had meat loaf for dinner.”). If your company demands an attentive and dedicated level of service, then work with a TMC that will be prompt and give you the service you expect. If planning corporate travel is part of your job description, make no mistake that you have a heavy responsibility to make sure you are servicing your employees and your bottom line. Travel remains the third-largest expense for most organizations, so it is vital that companies get the utmost value for their money in this all-important area. The key is total transparency: know your costs upfront. If those costs come back disproportional to what was agreed upon at the outset, then immediately request an audit. And if the TMC you are working with refuses to comply, then maybe it’s time they hit the road. Franc Jeffrey, CEO of EQ Travel, with offices in the United Kingdom and Boston, can be reached at fjeffrey@eqtravel.com.